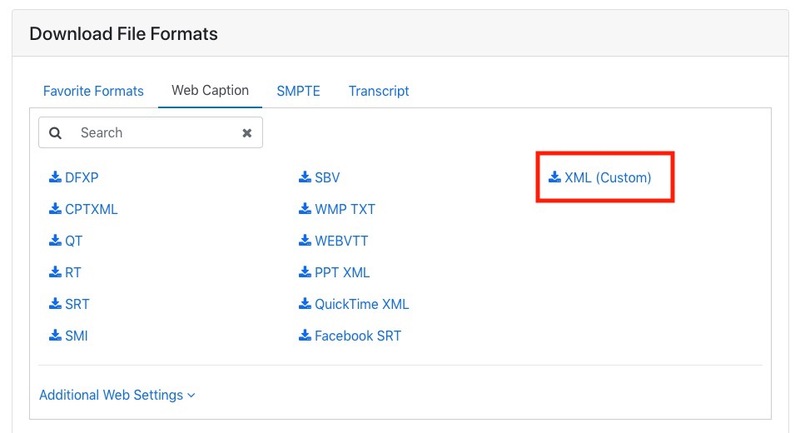 Note: To edit and update captions that have already been processed, your 3Play Media account must first be configured with the ability to download the XML (Custom) file format. If you don't see this as an option after selecting a file and clicking Request Download, please contact support@3playmedia.com and we will add it. Locate and click on the file you want to edit. Click on the Edit Transcript button located above your list of files. You will be directed to the Edit Transcript page where you can make changes to your transcript. See more information regarding editing your transcript. After you have completed editing your transcript, click Save Changes. Go back to the My Files page and select the file you just edited. Click on the Request Download button located above your list of files. If you want to download a transcript of your Echo, click the download icon next to Plain Text. 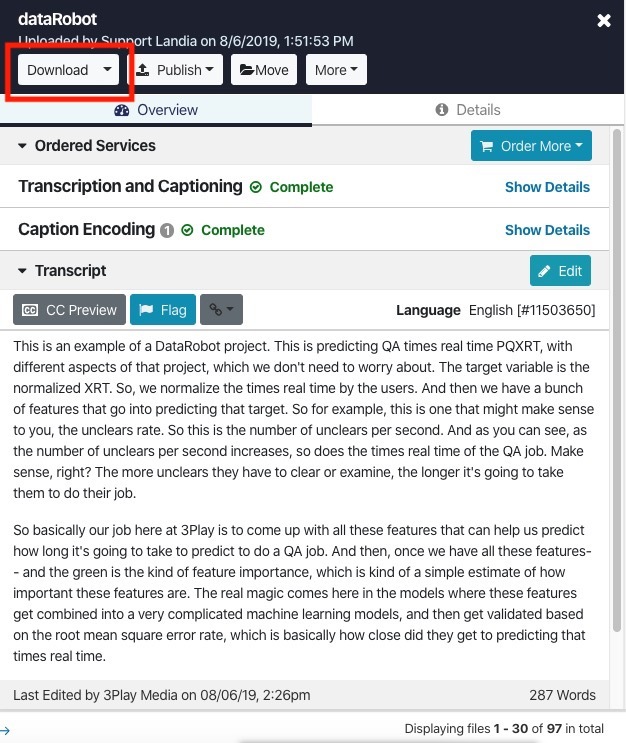 If you want to download the captions, click the download icon next to XML (Custom). Your file will begin to download after clicking the download icon. Upload the edited version of your captions or transcript file to the EchoSystem via the Echo360 user interface.